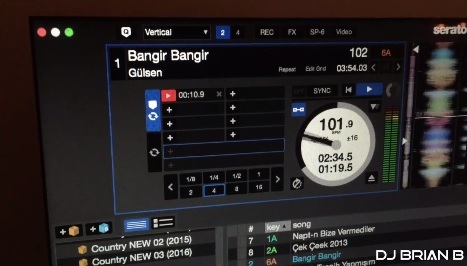 This week I’m giving you my top three Turkish wedding dance songs. This came about because I recently did a destination NYC wedding where half the crowd was from Turkey and the other half was from the US. I didn’t get any song ideas from the clients but they really wanted me to incorporate some music from Turkey within the reception. In some ways, I actually enjoy having that type of blank slate. I did a ton of research and believe it or not, I hit it out the park. Part of it is just based on feel and what my gut was telling me would be a good track or not (as I had no idea what the lyrics were). The other part comes from my vast connections within the DJ industry. I’m proud to say I’m a part of an industry that supports one another. At the end of the day, it’s about making sure the client experience is amazing. So check out my picks for Turkish music that will pack your wedding dance floor. I love ethnic weddings. If you are a having a destination wedding and want a wedding DJ who enjoys bridging cultures through music, I’d love to talk with you about your vision. Not only do I have a good feel for ethnic traditions and ethnic music, but I’m an internationally traveling DJ who specializes in luxury weddings. So no location is too far for me to help throw the type of party everyone is talking about! Want to keep up with what I’m thinking are hot tracks? Check out my other “Music Monday” videos here. Have a great week everyone!